Clerk of the Privy Council Michael Wernick sat before a committee of MPs Thursday and explained that he was holding a position that has existed in one form or another for 800 years. While Canada has been a country for a much shorter period, in the U.K. the privy council has served to advise monarchs on legislation, justice and the functioning of government for centuries. Wernick's appearance before the justice committee served to open the door of Canada's "private council" and shed some light on the role of the privy council clerk in a democratically elected government. In Canada, the clerk holds three positions. The first is to act as the deputy minister for the prime minister, fulfilling a bureaucratic role. The second is to be secretary of the federal cabinet and the third is to act as the head of the federal public service. Wernick laid out that part of the job but more importantly he detailed how he fulfilled those roles with respect to Prime Minister Justin Trudeau's office in the ongoing court case involving SNC-Lavalin Group Inc. The committee asked Wernick to appear because it is examining whether Trudeau or someone in his office tried to pressure Jody Wilson-Raybould — when she held the dual role of attorney general and justice minister — to allow SNC-Lavalin to avoid charges on corruption and fraud by offering it the option of a remediation agreement as an alternative to prosecution. 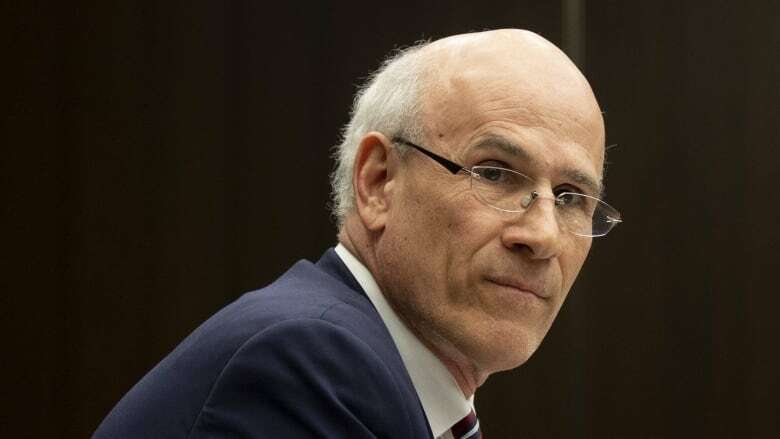 Wernick said that he did, in fact, speak with Wilson-Raybould about the decision to prosecute the firm, making the case that there would be economic consequences for the Montréal-based company and its 9,000 plus Canadian employees if she chose to disregard the remediation option. While no former clerks of the privy council would speak to CBC News on the record, a source with intimate knowledge of the position explained that making a strong case to Wilson-Raybould to seek remediation was an entirely justified position for the clerk to take. The source said that the clerk's role, in a sense, makes them responsible for cabinet decision making by ensuring the appropriate steps are taken to execute cabinet decisions. The clerk also has the responsibility to ensure that the public interest is considered in cabinet decisions. "It is perfectly legitimate for the clerk to call the attorney general and and say: 'have you considered employment in Montreal' in the decision they are going to make," the source said. The attorney general, however, can disregard the public interest under the law, the source said, if it is determined that a person at the centre of a case has been found guilty of corrupting foreign officials. But the clerk still provides the advice. "An effective clerk will make sure that ministers have these facts because they also want good decision making. They want everything on the table for them to take into account," David McLaughlin, a former chief of staff to Brian Mulroney and deputy minister to New Brunswick Premier Bernard Lord, told CBC News Network's Power & Politics. The source also said that the line between appropriate pressure and pressure that crosses the line is not complicated. If, in the case of Wilson-Raybould, the prime minister told her that she had to make a specific decision or she would be kicked out of cabinet, that would be crossing the line, the source said. But the level of pressure would be appropriate, and just, if the prime minister told Wilson-Raybould that she should take the weekend to really think over her decision because prosecuting SNC-Lavalin could put thousands of people out of work and potentially sink an important Canadian company. "There is nothing wrong with that whatsoever, and it doesn't matter who the prime minister uses as his messenger, whether it's the clerk, a member of the PMO's staff or [he] tells the minister himself," the source said. The clerk is also responsible for determining what documents or discussions are covered by cabinet confidence and ensuring that cabinet confidences persist. All of his rulings are final and cannot be appealed to a court. So if the clerk decides that a conversation or written correspondence between two ministers or a minister and the prime minister are a cabinet confidence, then the content of that discussion remains confidential. "His job is not political at all," said Nelson Wiseman, a political science professor at the University of Toronto. "I'll define the clerk this way: it's operationally oriented but politically sensitive. In contrast, the Prime Minister's Office is politically oriented but has to be operationally sensitive." Wiseman said the role is "absolutely non-partisan." That's something McLaughlin said Wernick demonstrated well during his appearance at committee. While the position is non-partisan, the prime minister can appoint whomever he wants to the role. Wernick, it should be noted, was appointed to the position of deputy clerk of the privy council and associate secretary to cabinet by former Prime Minister Stephen Harper and promoted to clerk by Trudeau. "His job is not to give political advice," said Wiseman. The clerk is there to anticipate issues or concerns that will arise as a direct result of policy decisions and to inform the prime minister of what those are. "That's part of the background analysis, basically trying to assess what will be the consequences of a particular decision, what are the pros, what are the cons," said Yan Campagnolo, assistant law professor at the University of Ottawa. "Certainly that's something that public servants do in general, and the clerk is at the top of the pyramid."